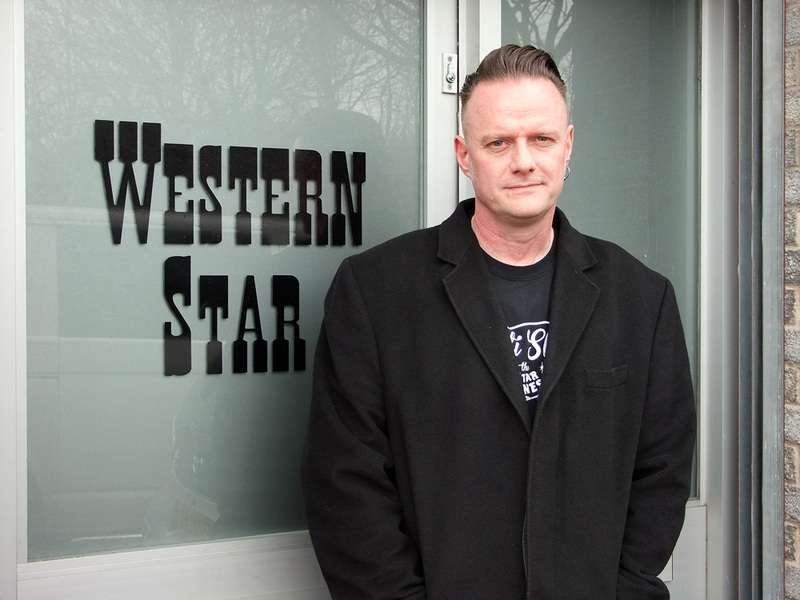 Marking their 10th anniversary with several festival dates scheduled for later this summer, Western Star Recording Company is the brainchild of producer and label boss Alan Wilson. 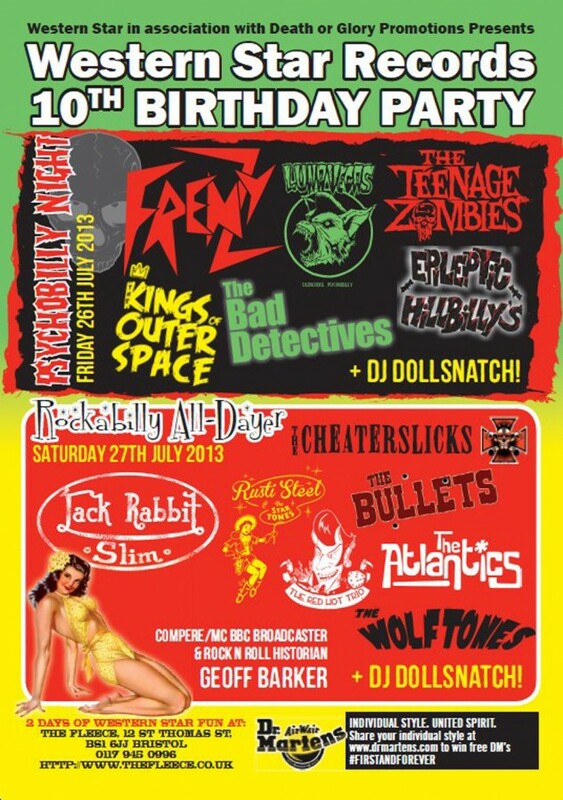 For those more familiar with the work of Alan Wilson will also know that he spent several years performing with neo-rockabilly and psychobilly band The Sharks, who built a solid fanbase and reputation which has led to the band reforming in recent years due to the fervent clamour for their music to be aired publically once more. Such is the demand for The Sharks to re-enter the live circuit that the band can almost reform at will, as recently seen with a more than successful excursion to Moscow, but this also has something to do with the daily duties that Head Supremo Alan Wilson has to perform in order to keep the Western Star wheels a-turnin’. 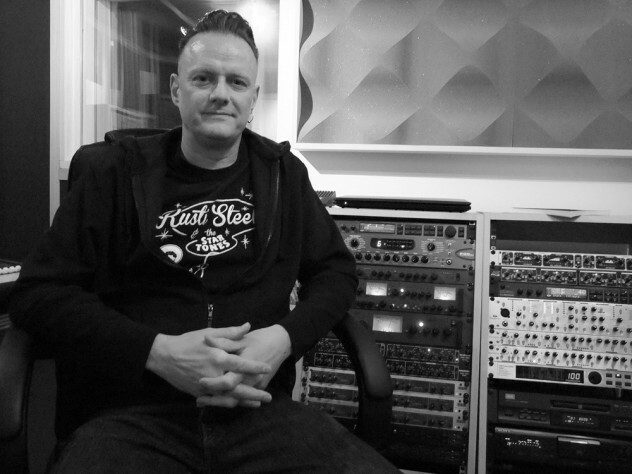 Set in a secluded area of the West Country, Western Star Recording Company (WSRC) has built a solid reputation, since its inception, as the place to go if you want to set your creative impulses to tape but also receive expert handling and advice courteously supplied by Alan Wilson. Not only does the Western Star supremo offer his expertise verbally, but it is likely that he will be seen lending a hand when it comes to certain musical parts that require keys or a guitar lick or two and therefore acting as an extra member for the artists walking through the Western Star door. In fact, due to the passion and genuine love for all Western Star releases, Alan Wilson seems to adopt a different persona by the end of each recording session, which is that of a mother relinquishing the thought of letting her offspring out into the wild for the first time due to the painstaking hours of love and attention given to each and every album marked with the Western Star seal of approval. Tough as these decisions may be, it would seem that with the passing of time such inevitable departures still do not get any easier for the Western Star label boss. Such difficulty of relinquishing the keys of control once the finished works were in place was proving to be something of a burden mentally. In order to seek some form of balance between ownership and control, Alan Wilson decided to break with his former work routines of offering his production services to other studios and apply these skills, and expertise, to his own business; hence the Western Star studio and record label were born. After such initial turmoil, a semblance of inner peace was finally reached once the final part to the Western Star legacy was put in place, with the record label being added to the studio wing. 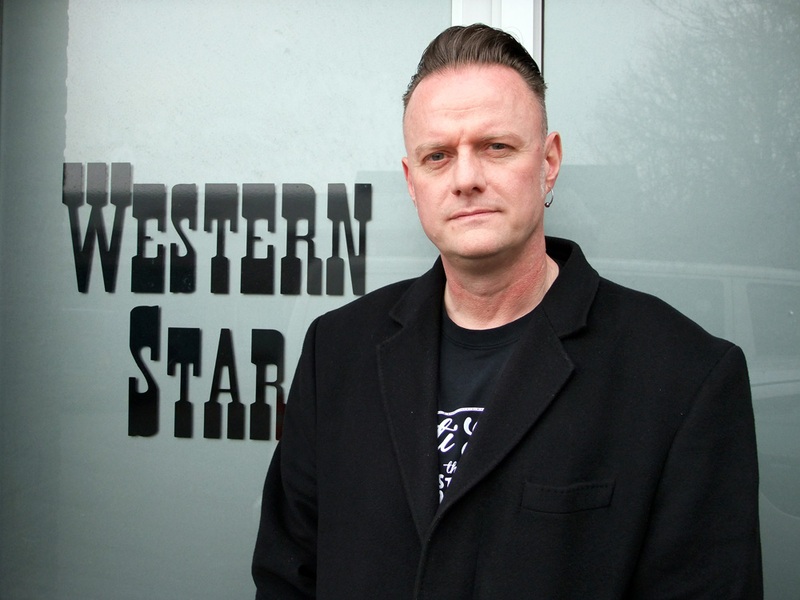 Ten years later, Western Star Records has not looked back as the label has gone from strength to strength with a more than credible array of rockabilly and psychobilly releases, and in the process launching the careers or providing a pep up to others of well-known luminaries such as Jack Rabbit Slim, Rusti Steel & the Star Tones, The Bonneville Barons, Luna Vegas, The Cheaterslicks, Frenzy, Kings of Outer Space, The Atlantics, as well as more recently providing a platform for the legendary Chas Hodges, of Chas & Dave fame, to realise a solo project. With such a prodigious line up of releases included in the Western Star catalogue, it seemed natural for the record label to announce its tenth anniversary this year. Such is the demand for tickets, Western Star will be providing many different events between now and the end of July with a series of festivals as the pinnacle of the anniversary festivities. There is no doubting the frenzied excitement the Western Star festivities and festival dates are providing in the FLW office as concentration levels have been dipping ever since. If that was not enough to disrupt our general working patterns, then the background information regarding various artists the Western Star boss has had the pleasure of working with nearly derailed FLW because the desire was evident to discover more regarding the Western Star legacy. 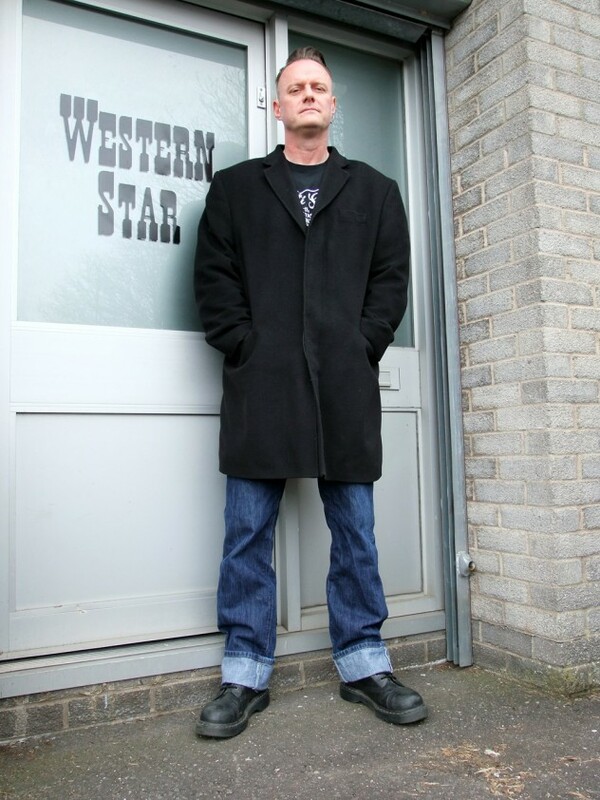 Jack Rabbit Slim (JRS), it is safe to say, is part of the Western Star furniture as the band’s career has evolved with the record label and recording studio due to returning for more of the Alan Wilson production wizardry time and time again. Therefore, due to such a close-working relationship, Alan Wilson has watched the band steadily mature over the years from pretty much a ramshackle crew to a fully-fledged rockin’ combo ploughing more or less their own material. A more accurate description could not be catered for as the ambience of ‘Hightone Woman’ is pretty much resurrecting the ghost of Johnny Burnette and the Rock ‘n’ Roll Trio such is the close resemblance here. More notably, though, it is the authentic delivery and brashness of sound that really captivates and literally transports JRS back to a bygone era. Changing track via a return ticket to Wilson’s other pastime, the aforementioned ‘Sharks, FLW takes it upon itself to interrogate the Western Star owner about this equally interesting period in his life but also because The Sharks have released their first album in15 years to much critical acclaim. Therefore, just how good was it to be a member of one of the pioneers of neo-rockabilly and psychobilly during those early days with The Sharks? Having formed in the late 70s and then going through a line-up change that witnessed Steve Whitehouse perform slap bass duties and Paul Hodges take to the drums, Alan Wilson’s The Sharks took refugee with Nervous Records and churned out their first album within the space of two arduous weeks. The album was titled ‘Phantom Rockers’ and was released in 1983, and to this day still manages to attract attention among the rockabilly and psychobilly fraternities as a point of frequent discussion regarding its merits; some going as far as hailing it a masterpiece. Alan Wilson, however, views this debut offering with slightly less rose-tinted glasses as he recollects this period of The Sharks history. FLW is in unison with Alan Wilson’s comments regarding ‘Phantom Rockers’ because the songs pale in comparison with the band’s recent effort ‘Infamy’, which many will argue is down to advances in technology. It is, however, more to do with The Sharks maturing as a band and therefore bringing an overall quality that is evident from the off with its tales of infamous characters and quirky musical nuances that thrill. Are there any songs, in particular, that you’d like to elaborate further on? 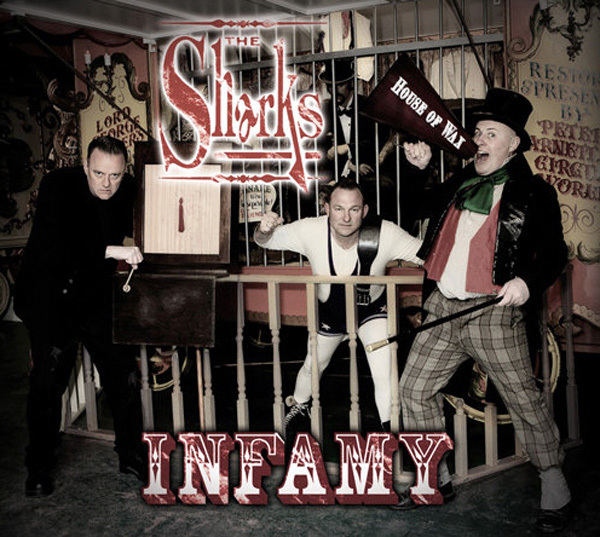 It is interesting to note that the last ‘Sharks album was not predominately occupied with the ubiquitous theme of things that go bump in the night, a common subject of the psychobilly scene, as ‘Infamy’ is more concerned with certain people of notoriety rather than fictional characters. Would you agree though, that The Sharks has elements of the psychobilly sound if not always concerning itself with the more gory aspects of the lyrical contents? Considering the volatile rollercoaster ride The Sharks experienced during their initial years before deciding to reform only if the circumstances felt right and time allowing permitted, it still remains something of a miracle that the band managed to produce several bodies of work in addition to the recent ‘Infamy’. As it turns out, The Sharks seemed to have a knack of being in the right place at the right time even when band members or, more to the point, bass players resembled a revolving door; something of which Alan Wilson fully acknowledges. Apart from the previously mentioned songs that you had rattling away before finally committing them to tape, was there anything else which made you get back in the saddle for a Sharks’ reunion? It would seem, therefore, that Alan Wilson, despite what has gone before, still has a deep affinity with his first true love. With the wheels already set in motion for the 10th anniversary of Western Star Records, and several dates planned for further live outings with The Sharks, as well as a fully booked diary consisting of production duties, Alan Wilson remains one of the busiest men on the planet. Bearing the David Brent ‘Brentisms’ in mind, all that remains, therefore, is to ask Western Star’s genial maestro whether there is an Alan Wilson philosophy. For further information regarding Western Star Records 10th Anniversary celebrations please check www.westernstarrecords.co.uk. In addition, there are several Western Star releases which have been reviewed by Famous Last Words Records (FLW) in our Reviews section. The last Sharks' album ['Infamy'] I put my heart and soul into it, and that's probably my favourite album,"
Alan Wilson of Western Star Records lets FLW in on a few things he’s looking forward to in terms of forthcoming releases, and his thoughts regarding the perception of rockabilly music in terms of the music press.